1. In medium bowl, whisk yogurt, lemon juice, honey, salt and pepper; add cole slaw, kale, apple and onion and toss to combine. 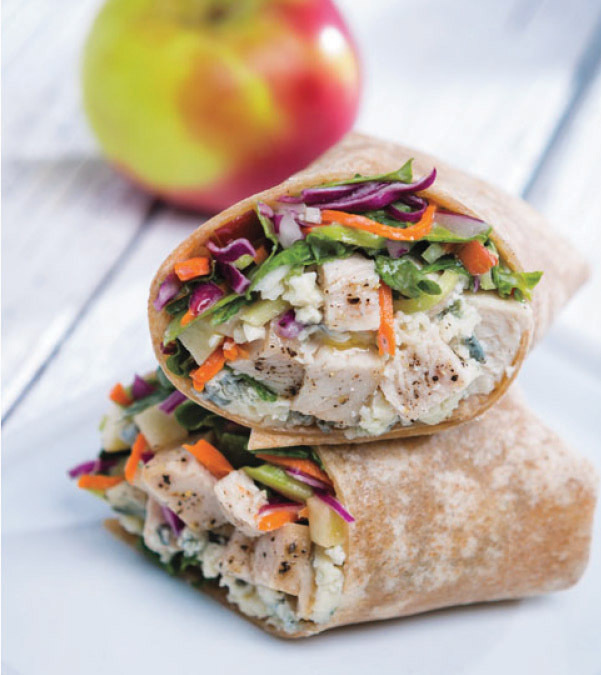 Fill wraps with chicken, cheese and cole slaw mixture. > Add dried cherries and/or toasted pecans for extra flavor and texture.